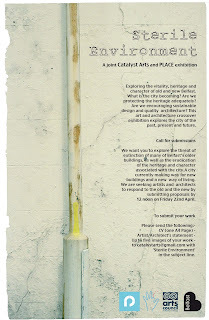 Exhibition launching Thurs 2nd June at Catalyst Arts, Belfast. 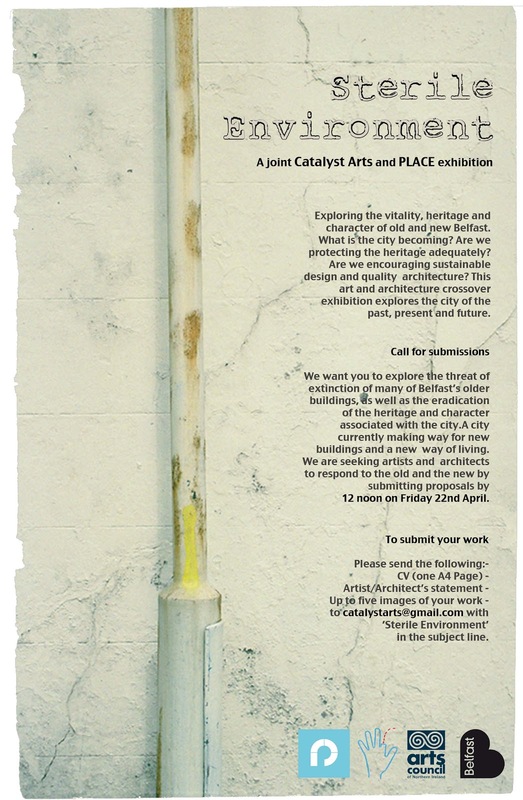 A joint Catalyst Arts and PLACE exhibition exploring the vitality, heritage and character of old and new Belfast. What is the city becoming? Are we protecting heritage adequately? Are we encouraging sustainable design and quality architecture? This art and architecture crossover exhibition explores the city of the past, present and future. We want you to explore the threat of extinction of many of Belfast’s older buildings and the eradication of the heritage and character associated with the city that makes way for new buildings and a new way of living. We are seeking artists and architects to respond to the old and the new by submitting proposals by 12 noon on Friday 22nd April.